How did they hide the evidence? How can I use science to find the evidence? How might the evidence be changed forever? Talking about reversible and irreversible change. Being safe with our experiments. Firstly we put in the solvent. 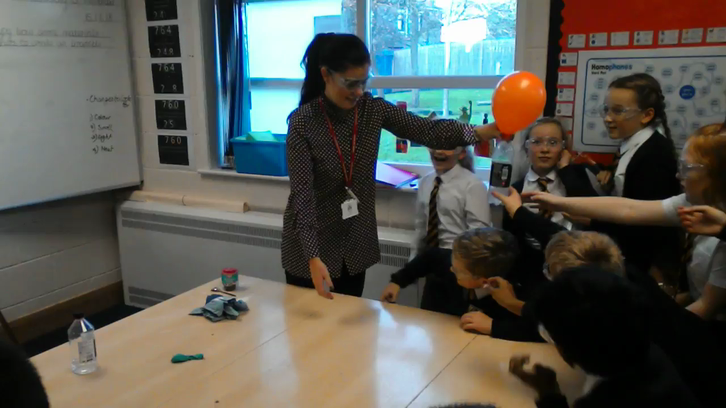 Is the balloon going to explode? Experimenting to investigate irreversible change in 5S.